After some recent interest in the forums, this thread is again active. Please feel free to add your own dyno, timeslip, and mods. The more details you can provide, the better. Posts without documentation will eventually be deleted. 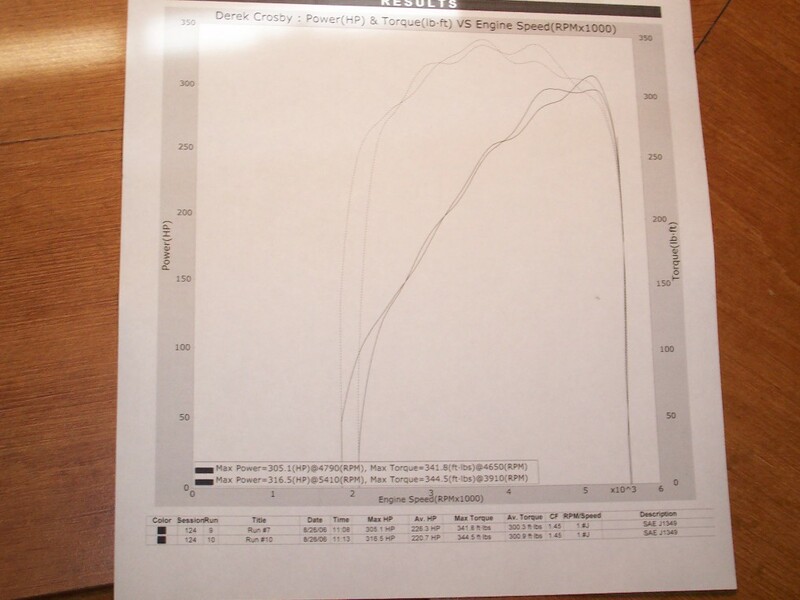 This thread exists to give people a reference on how parts and various combinations perform on the dyno and the track. At a minimum, please post the following: Heads/Cam/Intake, Displacement, Power Adder (if appropriate), and the power/torque or ET/mph in text as well as supporting documentation. Posts without this information will be removed. I've put this out there a couple of times but so far, no-one has sent me anything to get is started. I found this in a tech thread and thought it would be a great opportunity to get our dyno thread started. So here it is folks. Send me your submissions and I'll do my best to keep them cataloged by HP rating. So far Ive put down 220rwhp and 284rwtq. That was with the following parts. stock 2.25" crimp bent tailpipes. 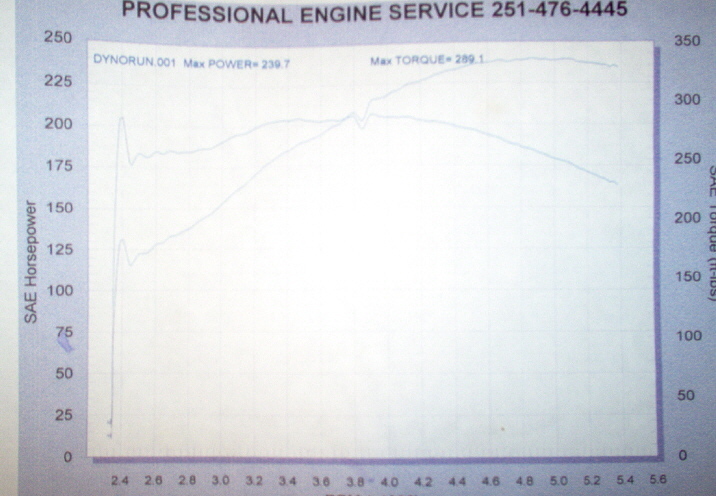 It is running great, and tuned correctly on the dyno. The car was dynoed at the shop that build the motor. This dyno is a MUSTANG DYNO which is why the numbers read alot lower. The guys told me that this specific dyno has about a 30% drivetrain loss and that the motor makes approx 270hp and 330tq at the flywheel. 306, cheap rebuild with forged trw's. 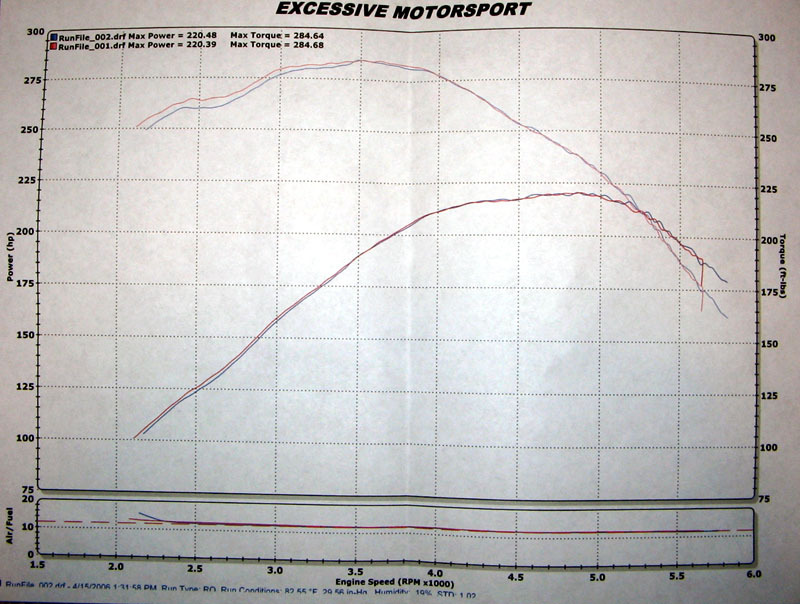 made one dyno pull straight off the trailor just to get an idea of how much HP I was making (301rwhp/330 lbs-ft). Mac Long tubes 1 5/8"
Magnaflow Stainless steel cat-back 2.5"
I'll need a complete list of your mods (including suspension) as well as a scanned image of your timeslip PM'd to me for submission. When I get the first one, I'll change the title of this thread to include 1/4 mile times. Made 212rwhp and 275rwtq with just those mods and all else stock. 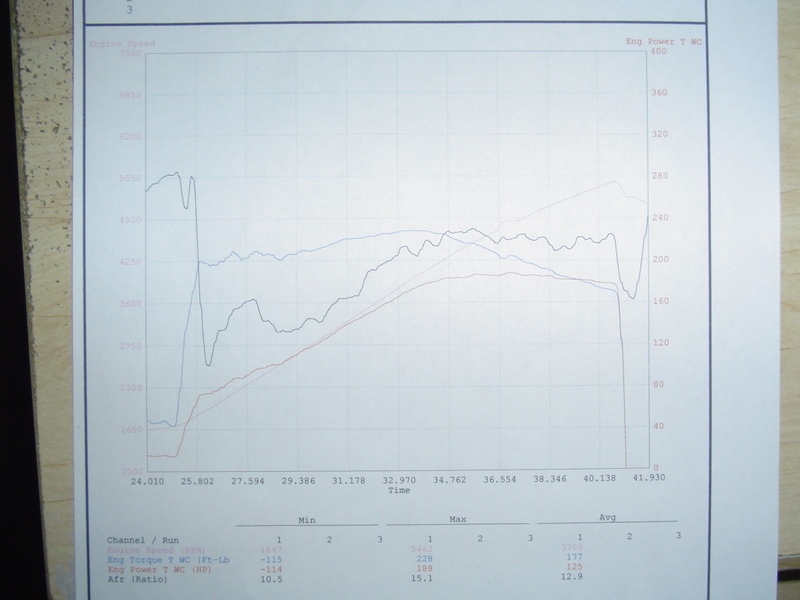 second dyno was all of the above plus ford underdrive pulleys, offroad x pipe, and c&l 76mm maf with tube. I thought this would be a good way for people to see real numbers with real mods. ie: those heads/intake/gears with this cam or whatever variable. Vortech xb105 and a healthy amount of boost! No #'s for new combo yet. Anyone Have A Desktop Dyno? Wanna Take A Guess At Hp And Tq For Me? Just ordered the BBK 78mm Throttle Intake, getting dyno tuned. Come guess my numbers! 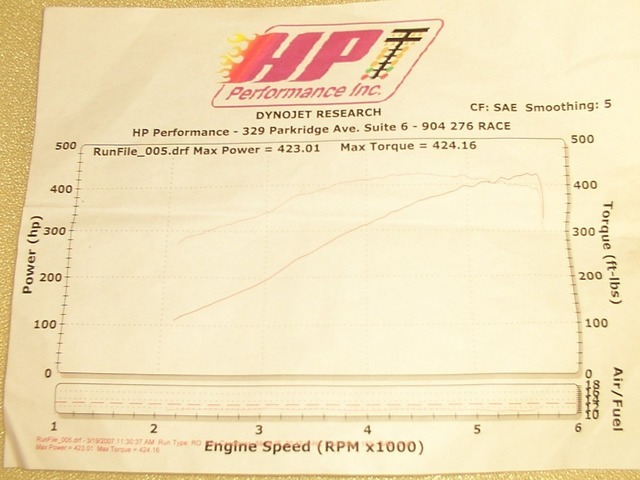 HP guesses before the dyno anyone?